As any parent will tell you, trying to get an infant to fall asleep can be an exercise in futility. One possible solution to the situation, as odd as it may sound, is a car ride. Plop the kid in a car seat, cruise around the block a few times and with any luck, they’ll be fast asleep when you pull back into the driveway. Of course, that’s easier said than done for a variety of reasons. Maybe it’s raining or really late at night and you’re too tired to get behind the wheel (or perhaps you don’t own a car – not uncommon in a densely populated area like New York City). Whatever the reason, they’d all be irrelevant should Ford bring its latest concept to market. The automaker has developed a baby crib that simulates a soothing car ride. 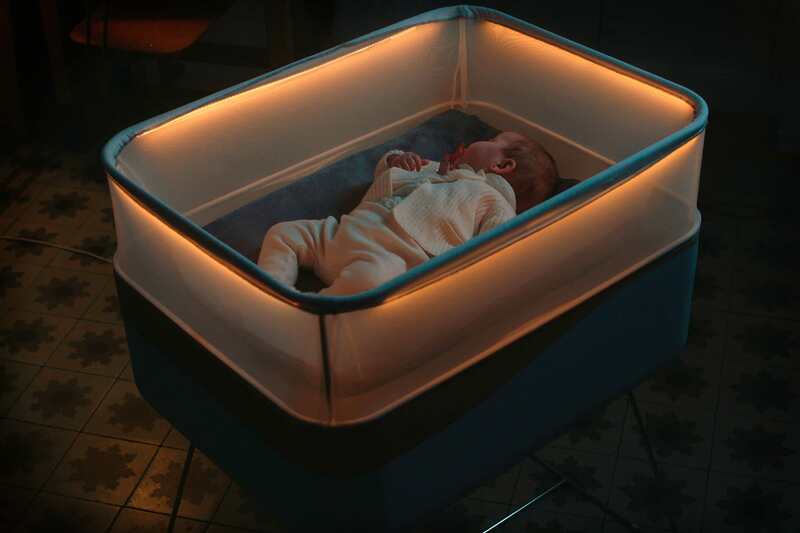 Dubbed the Max Motor Dreams, the bassinet-sized cot features a gentle rocking motion to simulate the movement of a vehicle, LEDs to simulate passing street lights and even artificial engine noise. As Engadget notes, motion and engine noise data is pulled from an accompanying mobile app which gathers real-life data from your own vehicle (after all, your kid is used to your car, not some generic simulation). Unfortunately for sleep-deprived parents, Ford has only built one Max Motor Dreams so far. Given enough interest, however, I suspect they might change their tune.